During Catechism, children listened to the story of Joseph’s brothers in Egypt and had a short quiz. 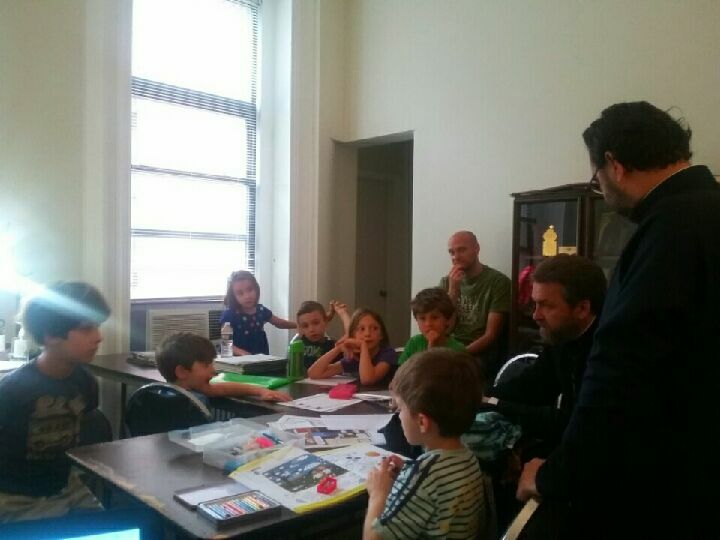 In Serbian language class, children practiced reading and writing, learned of shapes and new words through reading and discussions on various topics, including life in countryside and city, “slava” (family patron saint day) and family. They also wrote a short composition on the topic “My Grandmother” and made oral presentations about activities they enjoy in their free time. Homework for first graders: short composition on the topic “Why I like Summer”.